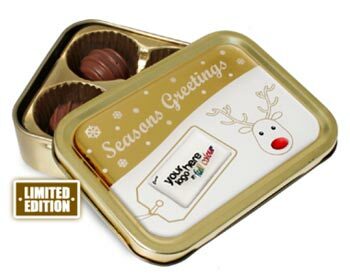 Chocolate Tin containing quality christmas chocolates. Ideal Christmas gift. Can be personalised with your promotional message.